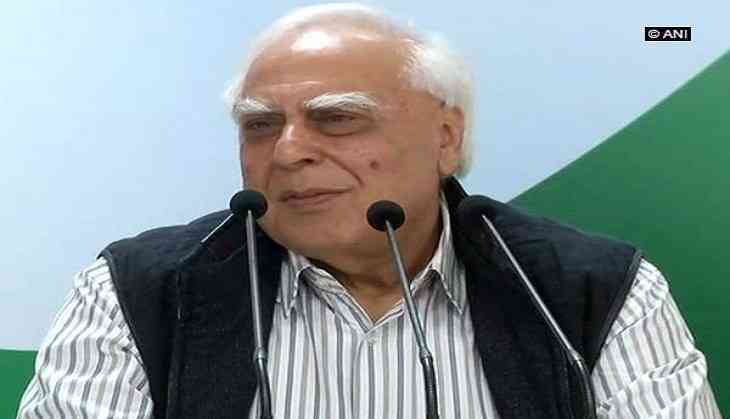 Congress leader Kapil Sibal on Thursday voiced scepticism at the central government's official data, and said that unemployment was rising due to the Narendra Modi government's 'pakodanomics'. "Two members of National Statistical Commission (NSC) resigned. They don't want to bring the data forward. In other countries we have heard people being encountered, but in our country data is being encountered. The rate of unemployment in the country has increased. This is a result of Modi ji's pakodanomics," he added. Two members of the NSC resigned on January 28, saying that the government had withheld release of a key National Sample Survey Office (NSSO) report. Congress president Rahul Gandhi too tweeted on unemployment and criticised Prime Minister Modi for not being able to fulfil the promise of creating 2 crore jobs every year. "NoMo Jobs! The Fuhrer promised us 2 Cr jobs a year. 5 years later, his leaked job creation report card reveals a National Disaster. Unemployment is at its highest in 45 yrs. 6.5 Cr youth are jobless in 2017-18 alone. Time for NoMo2Go," he wrote on his Twitter handle. Congress spokesperson Randeep Singh Surjewala also commented on the issue of unemployment and tweeted, "Unemployment rate is at a 45-year high. This is why the NSSO Report was kept under the wraps. This is why members of NSC resigned. The promise of 2 Cr Jobs turned out to be a cruel joke! India does not want a Govt that has left the future of our youth in jeopardy. Shuddhi jinx continues: Varun Dhawan, Alia Bhatt film postponed, again!